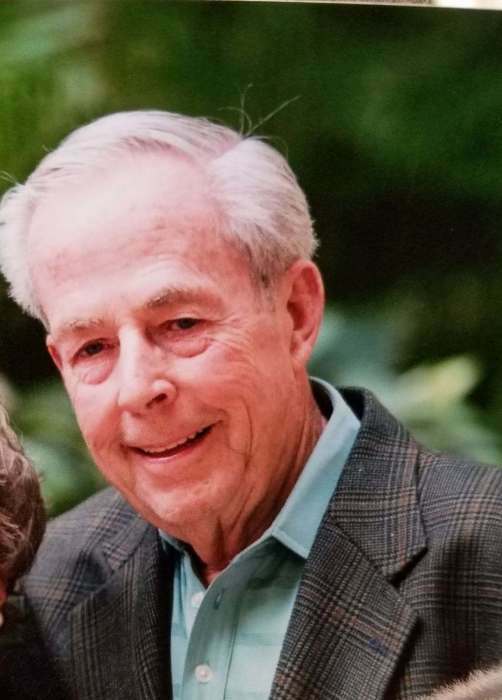 Phillip Michael Coughlin, age 83, of Waterford, WI passed away on September 25, 2018 at St. Luke’s Hospital in Milwaukee. Phillip was born on January 22, 1935 in Chicago to Joseph and Rose Coughlin. He was married on September 1, 1990 to Ramona Flink Hegemann. He had a successful career with Continental Can as a controller. His job took him throughout the country to New York, Texas, and eventually Wisconsin, where he met Ramona at Rivermoor Country Club. When they married, Phil gained an extended family through Ramona’s four children: Joy, Renae, Jodi and Scott. As a couple, they enjoyed wintering in Florida, golfing, and watching the Green Bay Packers. Phil was an avid golfer and long-time member of Rivermoor Country Club. He was a loving grandfather to Alex, Jessica and Sarah Kline; Nicholas and Madeline Harma; Jared and Jordyn Liebelt; and Grace, Caroline and Henry Hegemann. He is survived by his brother, Thomas Coughlin; his nieces, Pamela Chudyba, Laurie Weiser, Sandy Seats, Kathleen Dowlatabadi, Roxanne Harnesk, and Regina Fulk; his nephew Daniel Coughlin; Joy and Patrick Kline; Renae and Dan Harma; Jodi and Tim Liebelt; Scott and Denice Hegemann; as well as all ten of the Grandchildren. He was preceded in death by Joseph Coughlin February 23, 1941; Rose Coughlin April 12, 1989; Patricia Coughlin July 26, 2013; Larry Coughlin October 13, 2012; and Ramona Coughlin January 26, 2017. Phillip’s family would like to offer their heartfelt gratitude to family and friends for their thoughts and prayers. A private service will be held on October 21, 2018.